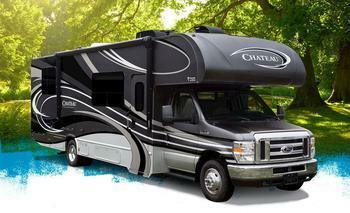 Thor Motor Coach (TMC) is recalling 1,384 model year 2018-2019 Four Winds, Chateau, and Freedom Elite vehicles. The liquid propane (LP) hose may not have adequate space between the floor and the metal plate on the refrigerator, causing damage to the hose and possibly creating a propane leak. TMC will notify owners, and dealers will remove a portion of the refrigerator base plate to provide additional clearance for the LP hose, free of charge. The recall is expected to begin December 11, 2018. Owners may contact TMC customer service at 1-877-855-2867. TMC's number for this recall is RC000162.